The gardens lie to the west and south of Glenfall House and make full use of the views, particularly those out to the west. The original gardens were simple, divided from the park by a fence. 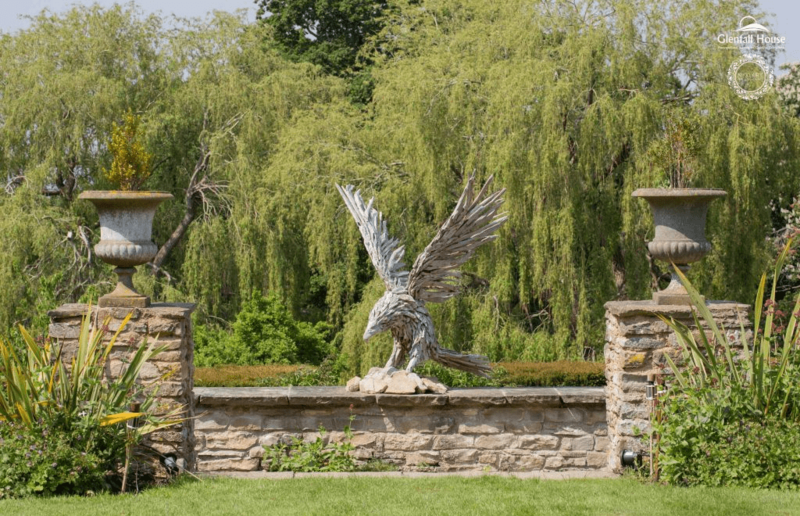 Towards the end of the 19th century they were extended westwards, then, in the 1920s, during Arthur Mitchell’s ownership, the garden area was again reworked and extended to create the terraced gardens. 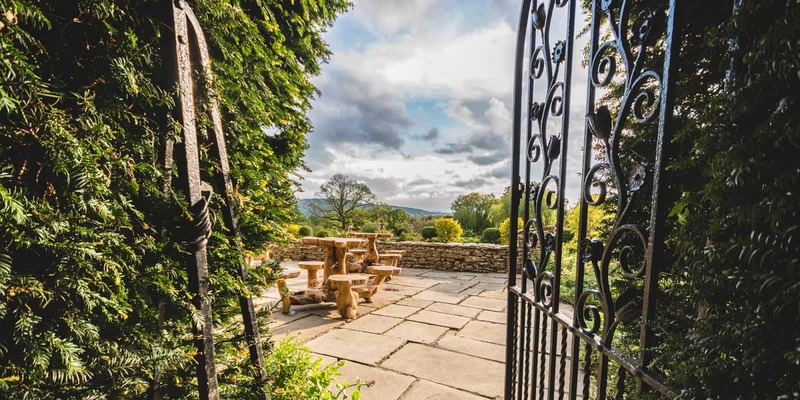 A decorative iron gate, known as the Tulip Gate and attributed to the Arts and Crafts architect Norman Jewson, is set in a yew hedge and provides access to the garden from the forecourt to the north of the house. 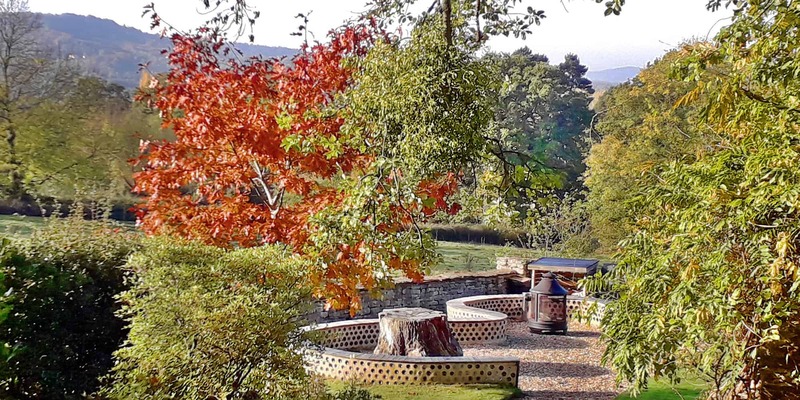 At the north and south end of the upper flagstone terrace, paths lead down to the main terrace through rockeries, whilst to the centre is a flight of stone steps. The main terrace is lawned and approximately picks up the line of the western limit of the original garden. 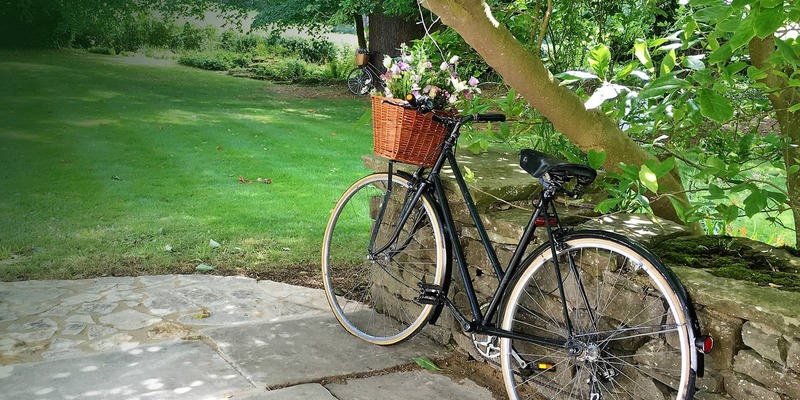 It is supported by a dry stone wall built of Cotswold stone quarried on the estate. They are slightly inclined, have square pillars along their length. From the centre point of the wall a double flight of steps lead down to the Rose Garden, and within the arms of the steps on the terrace beneath is an ornamental, semi-circular pool which is fed by a scallop shell fountain on the back wall, which is set with an arched recess with keystone. To the south of this is The Alcove, an arched recess of local stone set into the wall. Above the keystone is a datestone, inscribed ‘AM 1922’. To the south again, runs the wisteria walk, with a line of dry stone square pillars. The levelled ground is set out with yew hedging and another rose garden, the southern part in front of the Wisteria Walk having been used as a hard tennis court in the 1930s. To the centre of this terrace, to the west of the central Rose Garden, a flight of stone steps leads down to the broad walk, a grass walk separated from the orchard beyond by a low dry-stone wall built in the 1920s. 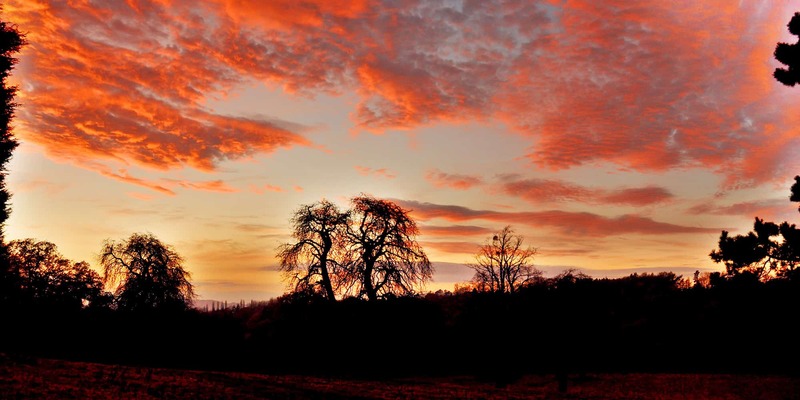 The orchard was built out into the park, also in the 1920s, and bounded by a stone-faced ha-ha. Its laying out required re-routing of the south drive (now not in existence) to loop round the western end of the new enclosure. 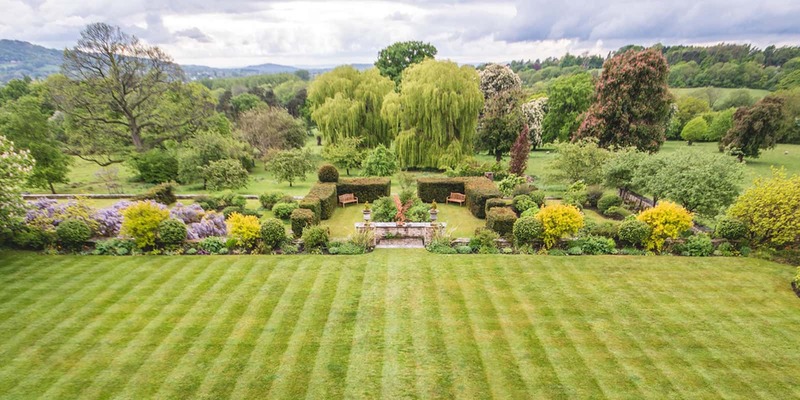 The pair of blue cedars, planted around 1872 have been felled, but the two weeping willows of comparable age survive providing a centrepiece to the views from the House. 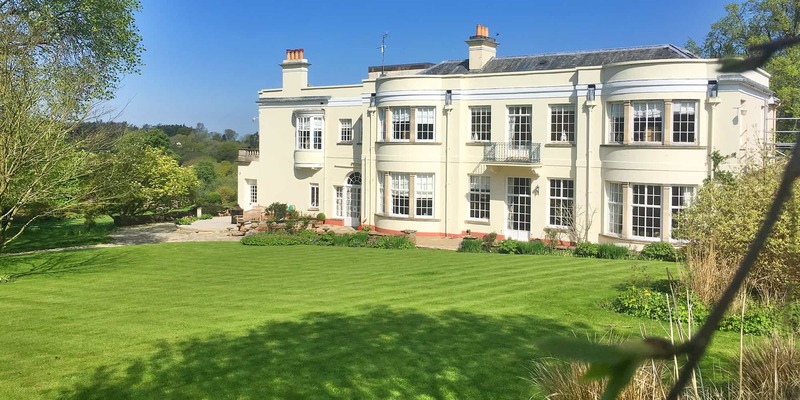 Mitchell was responsible too for reworking and moving the boundary eastwards to create the South Garden to complement the addition of the South Wing. 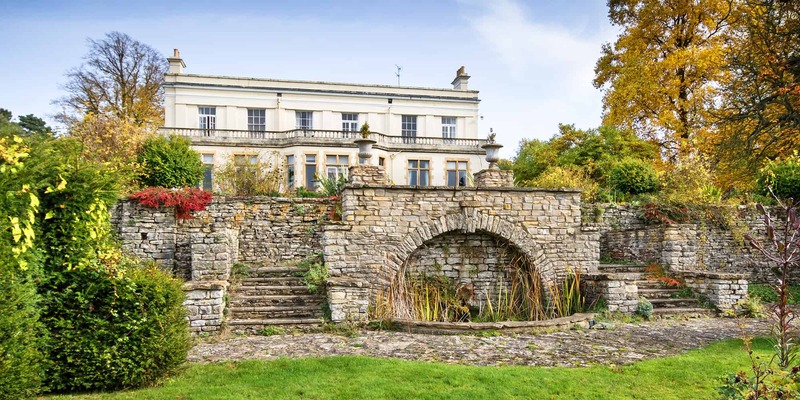 A central door from the south wing opens onto a paved terrace with Cotswold stone semi-circular steps leading up to the sloping south lawn, which includes three herbaceous beds, lime trees and a cedar planted in 1872, the other cedar has been felled. The lawn is screened from the ground to the east by a yew hedge, to the north end of which is a decorative iron gate, known as the Rose Gate. A holly hedge runs along the top of the retaining wall which forms the boundary between the south lawn and the field beyond. During the early years of the 19th century Edward Iggulden laid out a path through the hazel coppice which lined the steep-sided valley of the Ham Brook which runs east to west, approximately 100m to the north of the house. Treating these steep-sided valleys as a pleasure ground, he laid out a path through the Upper and Lower Glens, with views capitalising on the extensive horizons. Where the north drive bisects the valley, it crosses via a bridge over a waterfall. The waterfall became popular as a particularly romantic spot in the early 19th century, and was painted and described by visitors, despite a reduction in the volume of water over the fall from 1824 onwards as a result of extraction from the wells above by the Cheltenham Water Works Company. The form of the falls was presumably altered with the building of the bridge in the 1920s. The bridge which is constructed of Brownstone was severely damaged in 2007, and in 2008 the east side was rebuilt, as well as the top layers of the west side. A flight of steps to the west of the bridge leads down to the Lower Glen. Further along the drive, on the sharp bend, a second set of stone steps leads down to a wooden bridge across the brook. This bridge, which is supported on the original stone pillars, replaces a 1920s timber bridge which was destroyed in 1994. Further upstream is a stone bridge carrying a date stone, ‘AM 1923’. 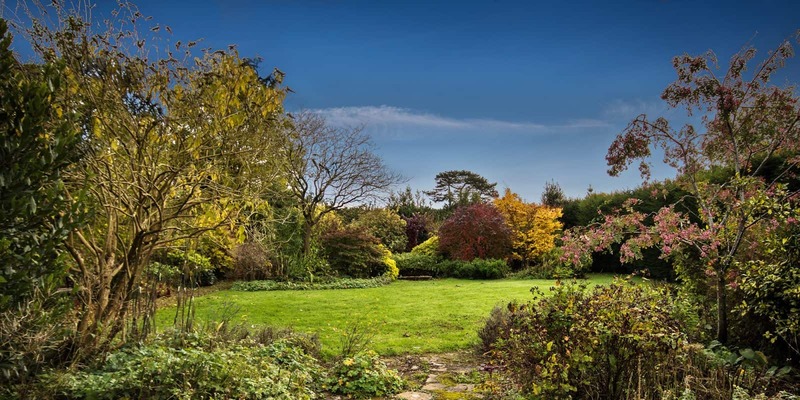 Home Ground, the field to the north and west of the house, between the drive and the gardens, and the Ham Brook, was planted up by Iggulden to provide a small park, with a scattering of limes, oaks and horse chestnuts. There are also a number of grafted standard pear trees in this area. Gutter Herne and Mill Piece, to the west between the brook and Mill Lane, were acquired by Iggulden in 1819. The 19th century Kitchen Garden lies to the east of the South Garden. Its west wall was demolished in the early twentieth century to accommodate the extended South Garden which is now separated from the remaining Kitchen Garden by the yew hedge. The Kitchen Garden is still bounded by walls to three of its sides. To the north of the Kitchen Garden are the nineteenth century stables which have been converted to accommodation. 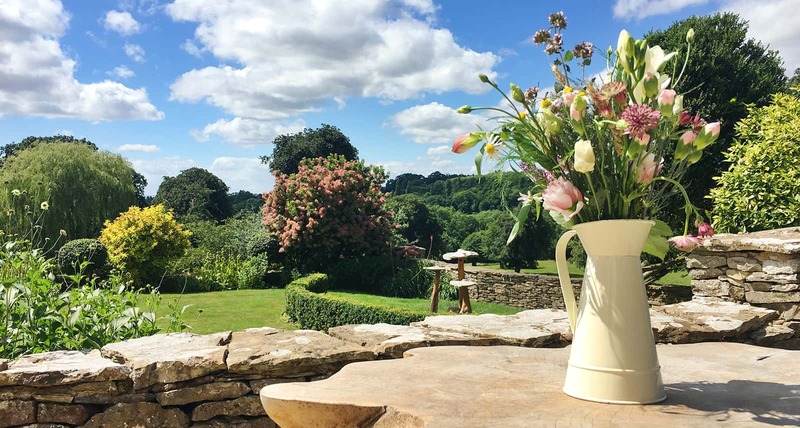 Since the restoration of the property in 2016, the current owners of Glenfall House have made sure that the Gardens have received the proper care and attention they deserve for future generations to enjoy. Each year the lawns undergo a care program to ensure they are healthy and lush for the coming season. 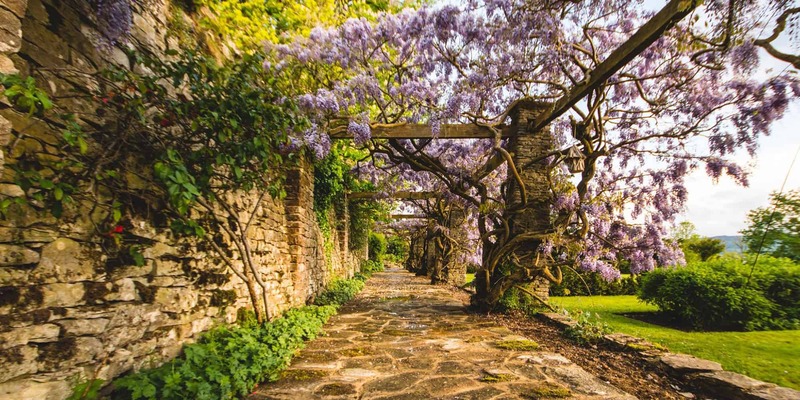 Wisteria Walk receives regular care and a creative barbecue area has been added to the south east section of the gardens. 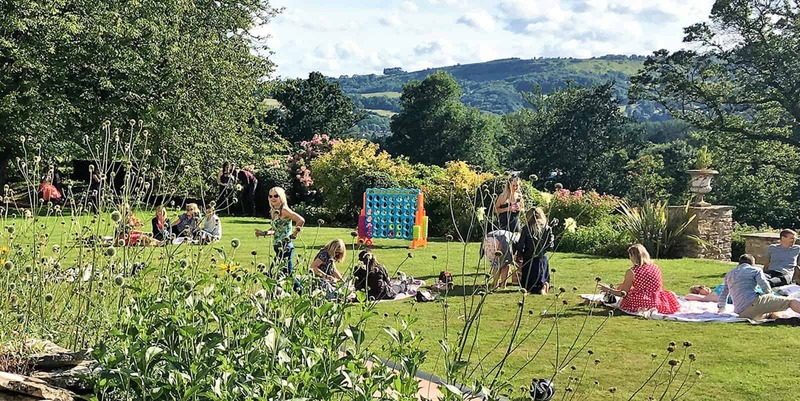 Other features such as the garden swing, hanging frames, log burners and driftwood tables on the terrace allow the gardens to become a fascinating leisure area for every outdoor event. We welcome visitors wishing to explore the Gardens, however please contact the team on 01242 323 889 to book a convenient time.